Ms Wan-Chin Chen outside Bundaberg Court. A WOMAN operating illegally as a prostitute from a Bundaberg motel room told police she did it to pay off gambling debts, and told the court she sends money home to her elderly mother and children. "I just wanted to make some money. I placed an advertisement and I doing the business just by myself," Ms Wan-Chin Chen told a court. Through a Mandarin speaking interpreter, Chen, 51, pleaded guilty in Bundaberg Magistrates Court to engaging in prostitution through an unlawful prostitution business between August 30 and September 5; and possession of tainted property - $1885 cash and a mobile phone on September 5. "It's a long way from Perth to here. If possible I'd like to get things sorted today," Chen said. "I did something wrong, I will not commit the same mistake in future." Magistrate Belinda Merrin explained to Chen the legal proceedings saying that her plea meant she would not get the $1885 back. Chen said she knew it was wrong but "I don't know much about the legal system here". Prosecutor Senior Constable Andrew Blunt said a police operation was targeting 'non-compliance prostitution' in Bundaberg. At 6.30pm on September 5 police went to Room 11 of the Bourbong Street Motel and found Chen inside. He said officers spoke to her, confirmed an offer of prostitution and police declared themselves, advising Chen it was a compliance check. "She made admissions of engaging in prostitution and says she came to Bundaberg from Western Australia. She says she was working from the motel room for over 10 days," he said. A search of her motel room found $1885 cash - in a purse under her pillow and bundled up and hidden under paper towels at the bottom of a cupboard. A mobile phone held messages from clients and her "receptionist". 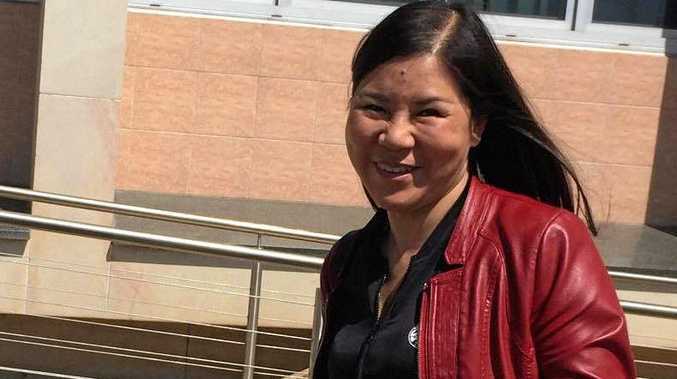 Chen, when hearing that the maximum penalty was three years jail but she would only be fined, was visibly relieved saying, "thank you, thank you". "I wish to say I have an elderly mother she is 78 years and she needs me to look after her. I send money back home and to support her and my children. My mother, my child need my support," Chen said. "I seek a small fine as I don't have much money. Several hundred is the maximum I can afford." Magistrate Merrin said she would be fined $800. "I do not negotiate," Ms Merrin told the Taiwanese national. "Then I will borrow the money from friends and pay them back in a month" Chen said. Ms Merrin said Chen had no criminal history in Australia and the $800 fine was appropriate, with no conviction recorded. The cash and mobile phone were forfeited. But Ms Merrin warned Chen a jail sentence can be imposed if she continued to offend.